This weekend I spent five days in the beautifully magical city of Venice, Italy. Usually when I travel, I feel a slight twinge of disappointment. The places I now see for the first time simply do not live up to my expectations. I feel as though I have seen them all before. I remember the first time I traveled overseas, my mother asked me if I was impressed by the city of Paris. Fast forward to today, when I visit countless European cities and feel the same deja vu. Once you’re seen one Western European city, you might as well have seen them all– or so says my overly active imagination. 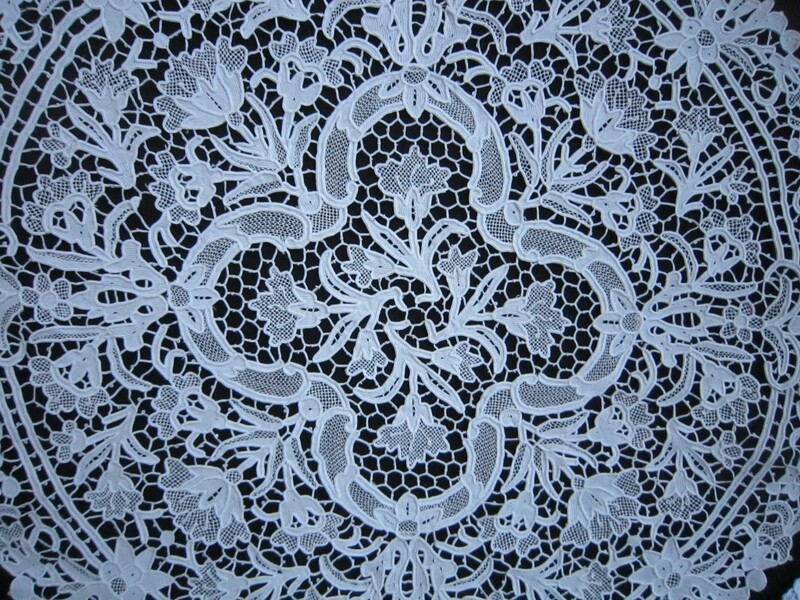 Venezia breaks this pattern with a sledgehammer. Immediately upon arriving, I saw things I have never seen before in my entire life. Venice just FEELS different, somehow. The smell of sea air in the middle of a crowded city never gets old. 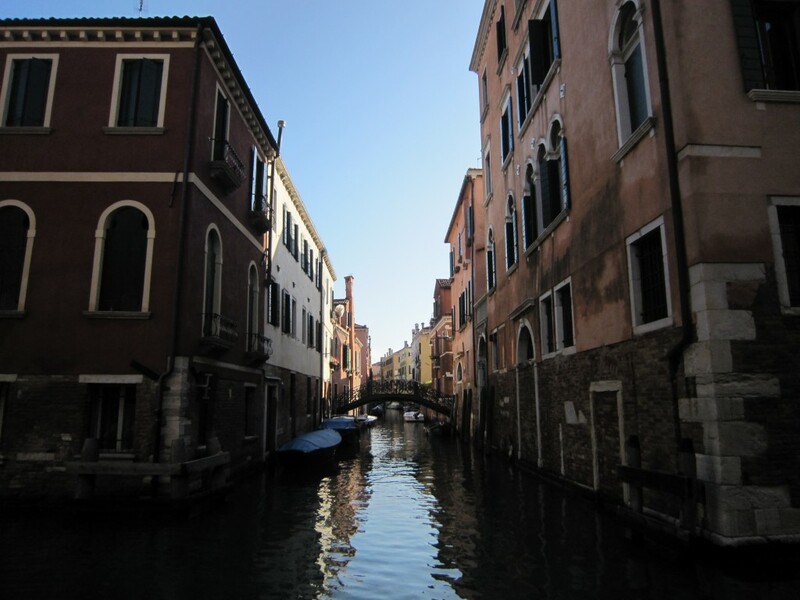 The sound of waves lapping up from the countless labyrinthine canals forms a constant soundtrack to daylong wanderings. This water forms the lifeblood of a city that feels so unbelievably ALIVE. A Spritz Venetian (sweet cocktail made from Aperol and Prosecco) sipped while bumming off cafe wifi and waiting for the normal restaurants to open. 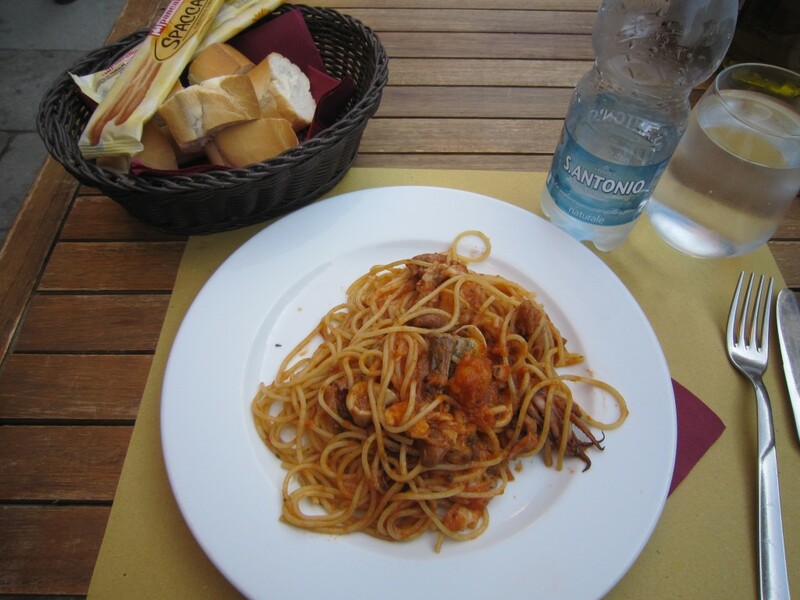 A surprisingly delicious pasta dish (here: Spaghetti with mixed seafood fresh from the lagoon), which makes me feel like I am having countless “Eat, Pray, Love” moments. 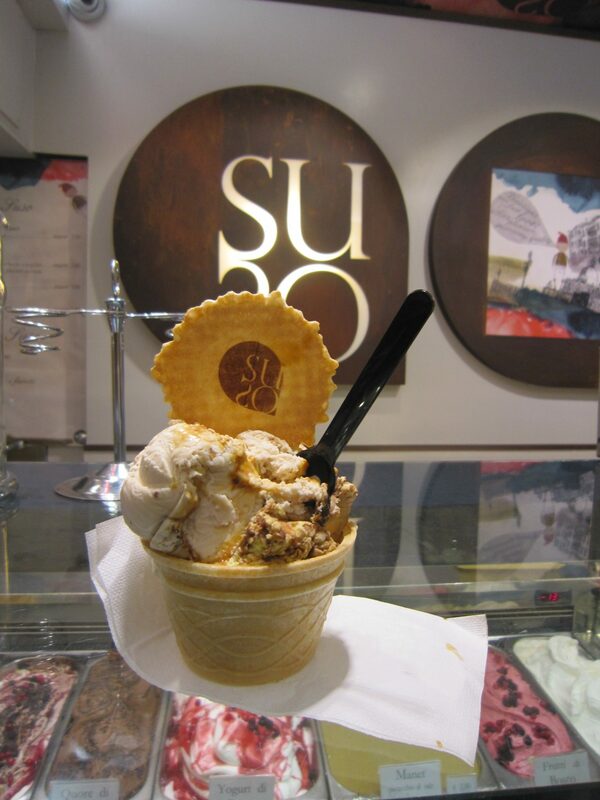 A cup of the best gelato I have ever tasted. 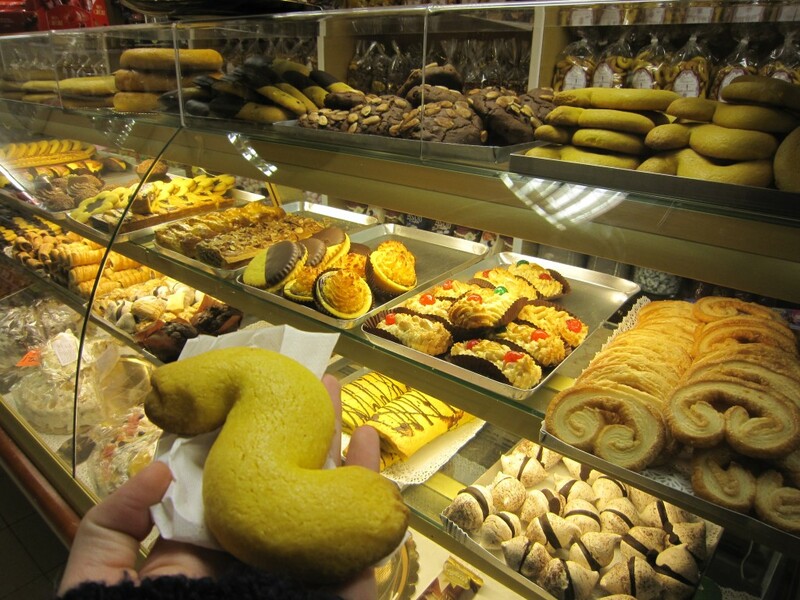 These are especially delicious when enjoyed after a long fruitful hunt through the winding maze of Venetian sidewalks. The gelato here was my favorite from the whole trip: called Crema del Doge, it included chocolate, cream, fudge, coffee, crisped rice, and about five other things that I couldn’t translate. It was heaven on a spoon. Like a Taoist, I chose not to! Let me explain: I am learning through a lovely book about Winnie the Pooh that Taoist inactivity is more “letting things fall into place” than simply “not acting.” So, applied to sightseeing, I decided NOT to take the first six hours of my time in Venice to do a hit-and-run of all the major attractions. Ironically, I arrived too late for my initial (free) walking tour of the city and missed this opportunity to overwhelm myself with tourist confusion. 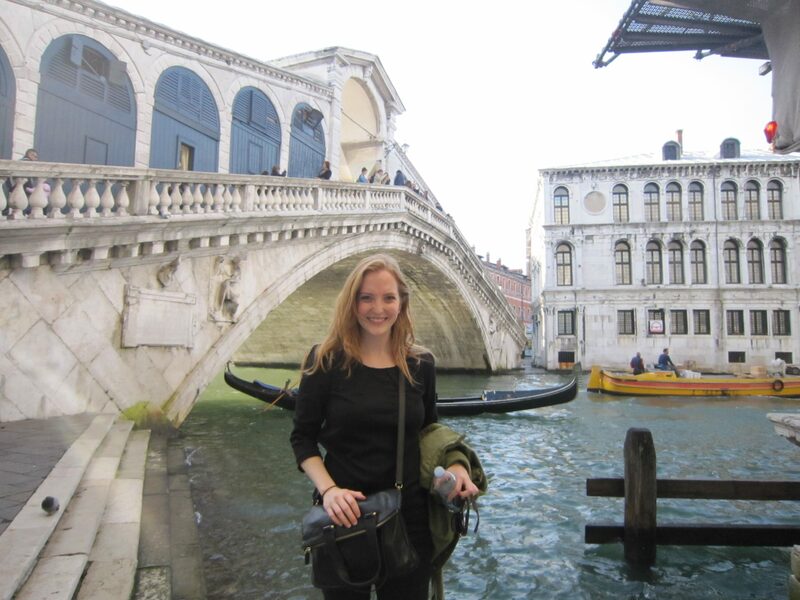 I loved exploring Venice on the way to my various planned activities and simply stumbling upon the major landmarks. 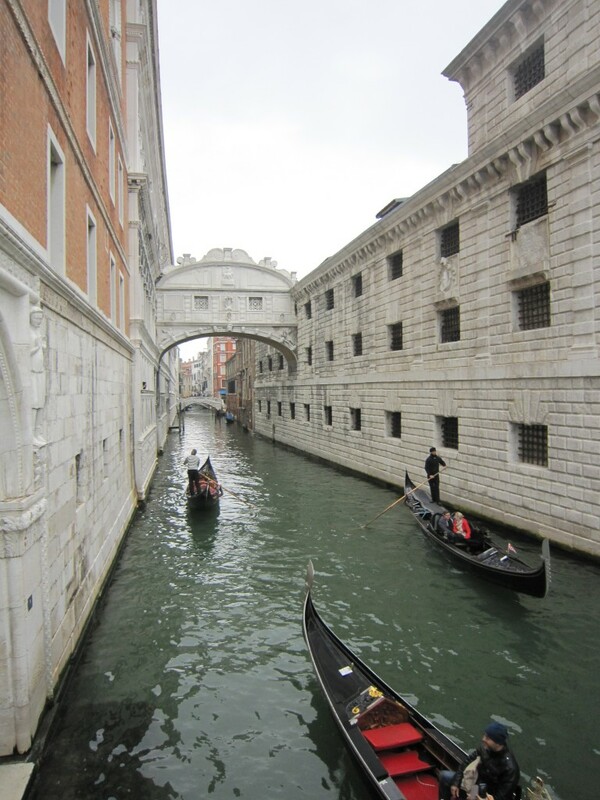 Above, I glimpsed this postcard-worthy view of the Bridge of Sighs on my way to an island-hopping boat. I snapped this touristy shot by the Ponte di Rialto when my new Venetian friend led me to her favorite gelato spot in the city for an afternoon snack. 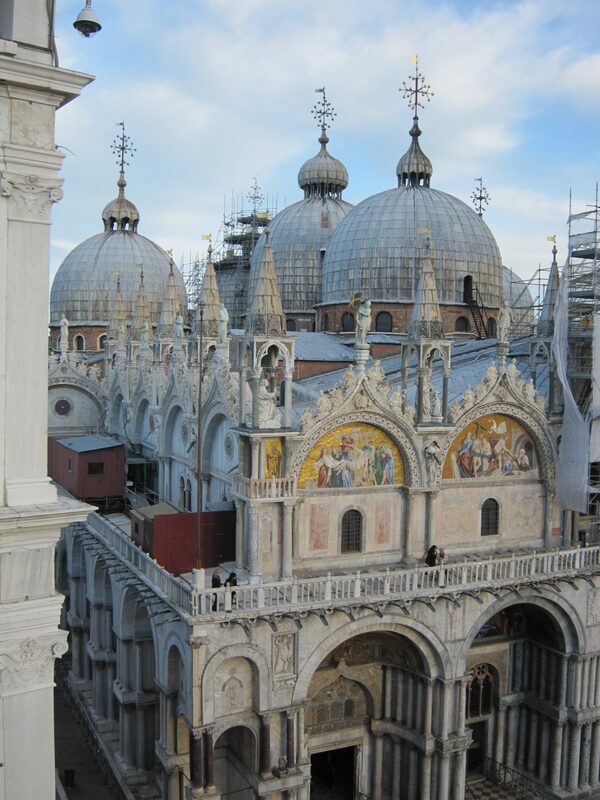 I got an incredible view of St. Mark’s Basilica and the square as part of a tour of the famous clocktower. I saw what I saw, and it was lovely. And, in complete cooperation with Taoist doctrine, I actually ended up seeing all the major sights that any daytripper would be running to see. 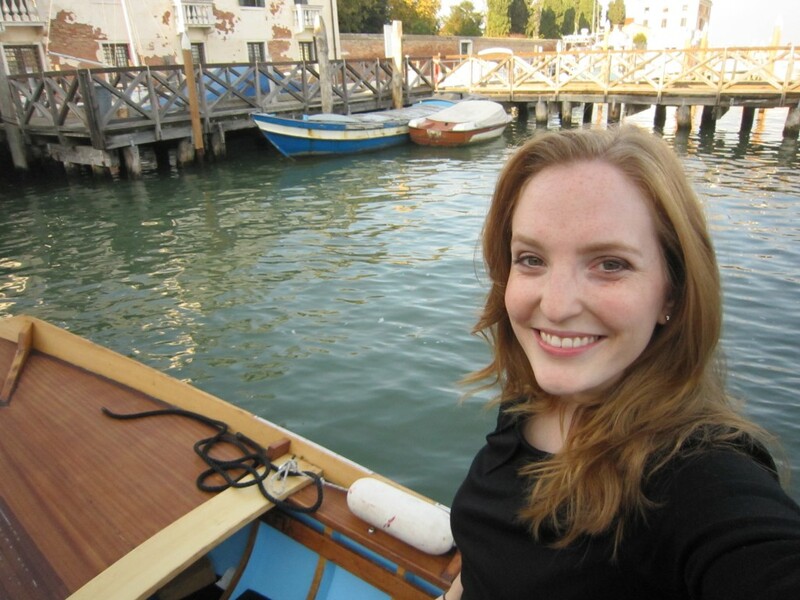 One of my very favorite things to do in Venice was learning to row a gondola! In doing my research, I learned that taking a gondola ride would cost me my entire weekly grocery budget. 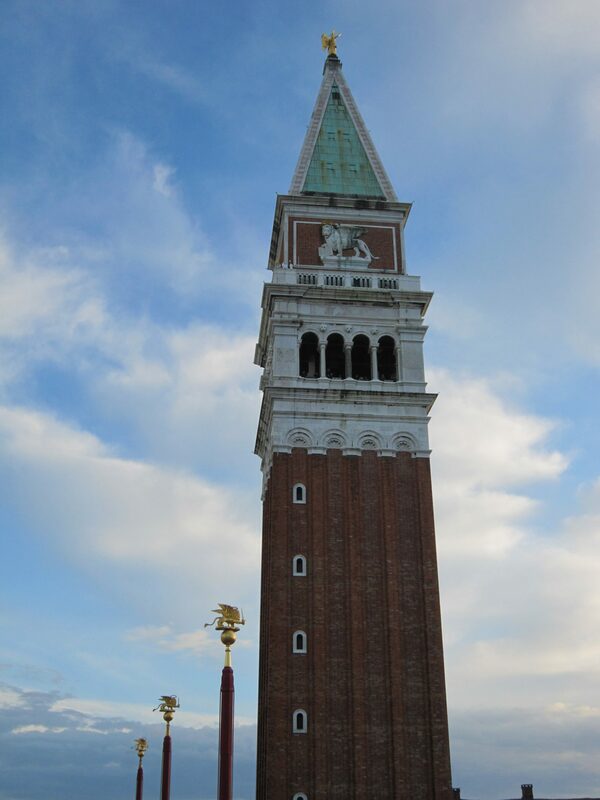 Getting a thirty-minute ride from a singing gondolier in the evening would cost even more! Not surprisingly, I decided to look for other options in order to immerse myself in this essential part of Venetian culture. 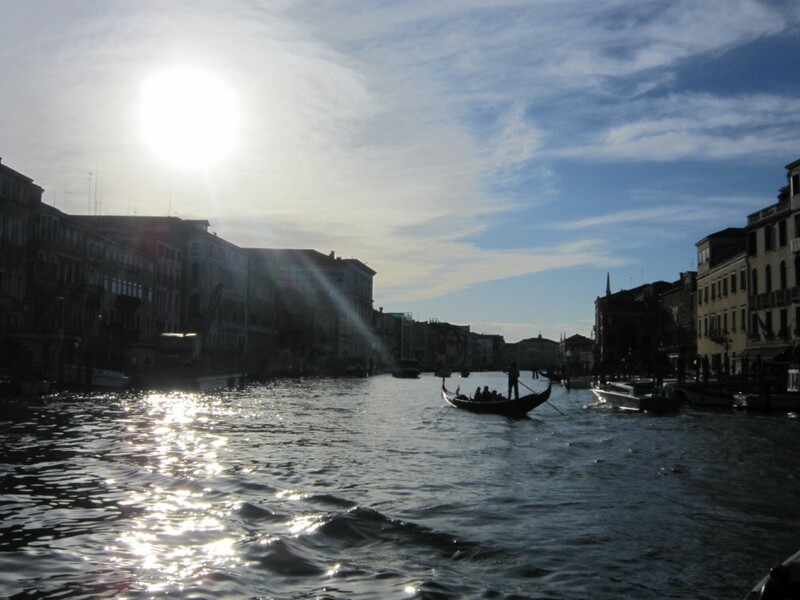 I did a bit of research and booked myself a gondola-rowing lesson with Row Venice! This was a FANTASTIC experience that I cannot recommend enough. 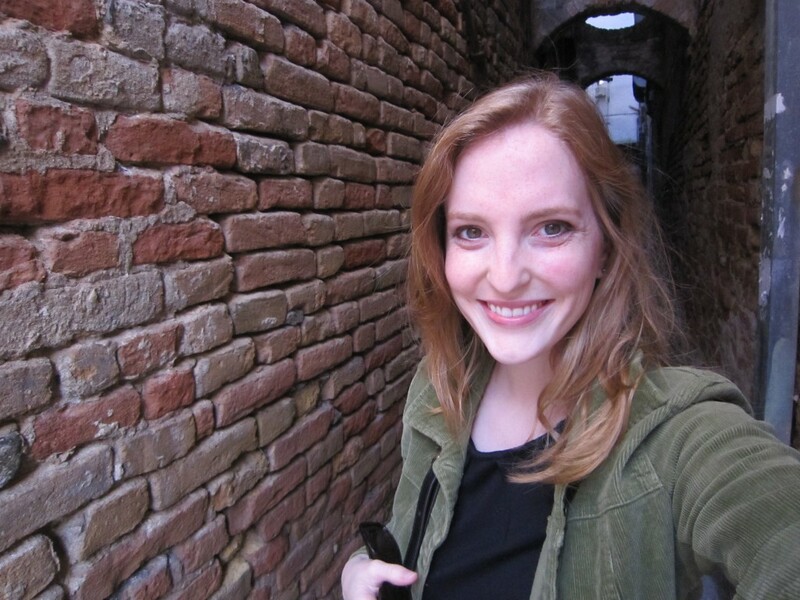 I spent two hours rowing through the quiet canals of Venice, learning about life in the city from a delightful girl who ended up teaching me a lot about living as a Venetian. 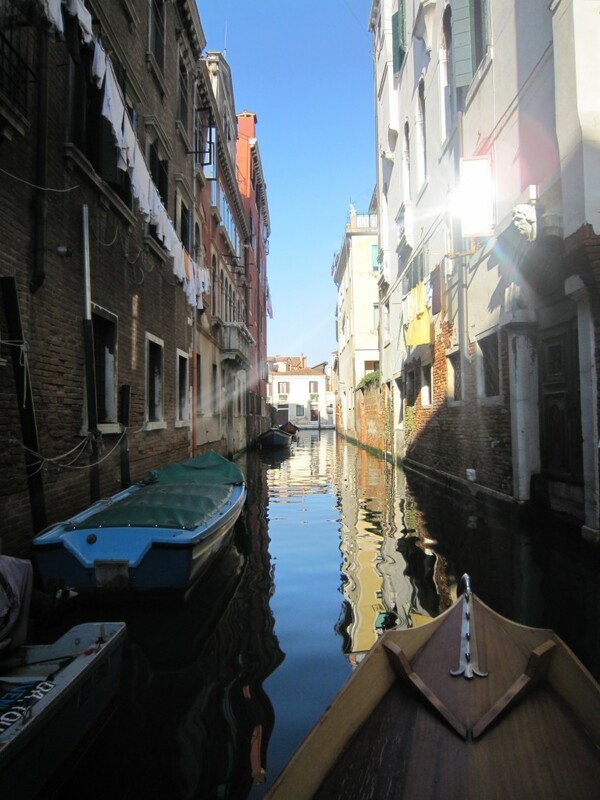 My daily life in Venice consisted of taking many lingering Vaporetto rides along the grand canal, eating plenty of gelato, and exploring the little alleyway streets of the Venetian neighborhoods. Venice is Atlantis above ground– a magical, fairy-tale floating artwork. I found the city to be a constant feast for all the senses. The tiny alleyway streets just called my name, and I wandered along them catching glimpses of colorful laundry hanging out of apartment windows. When you come to the end, your little sidewalk street may open out into a vast, sunny courtyard commanded by a huge cathedral. Or, you may find yourself suddenly at the edge of the great lagoon, almost as though your little back alley has opened out into the ocean. 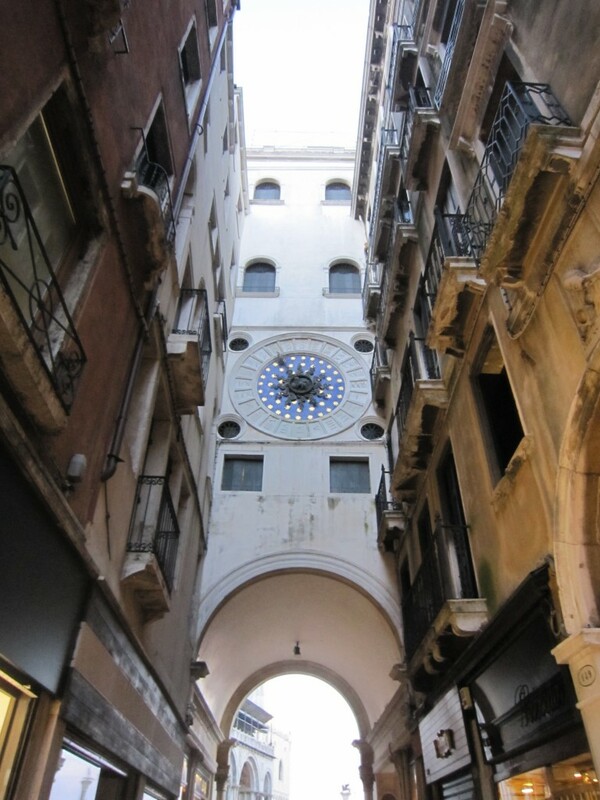 Walking through Venice is a constant surprise. 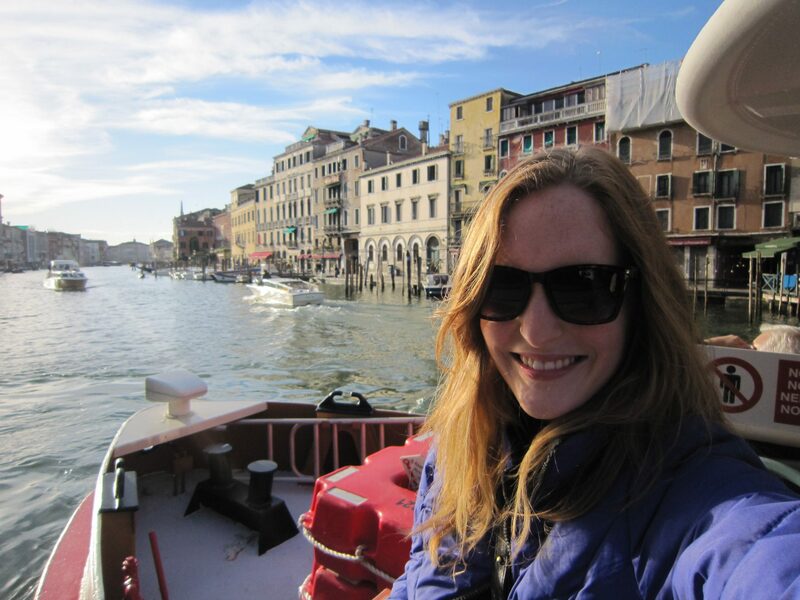 I spent one afternoon boat-hopping between the three major islands outside of Venice itself– Torcello, Murano, and Burano. 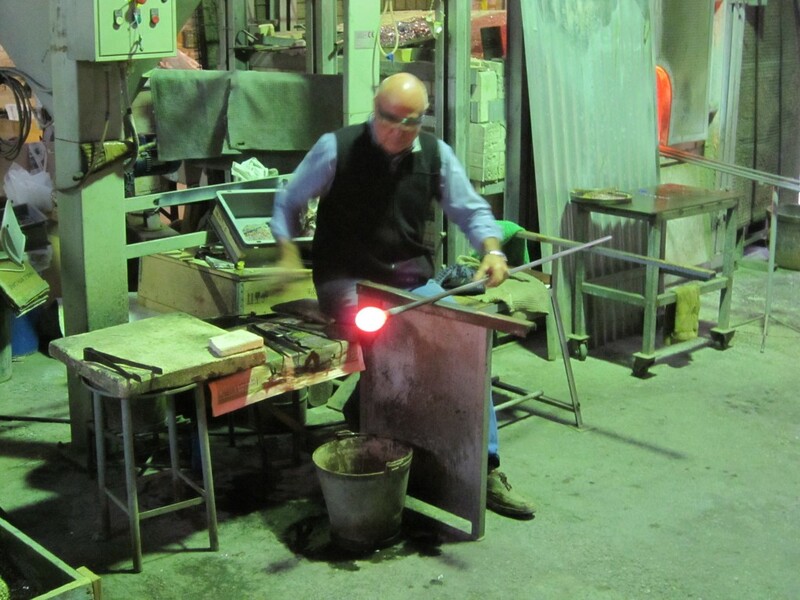 My favorite part was, of course, seeing a glassblowing demonstration by a master glassblower on Murano. We walked inside a glass factory and watched as this man spun a lump of molten glass into a beautiful vase. He seemed to dance. I sat in awe as he then took another piece of glass and tugged at it with pliers and scissors almost as though it were taffy. He spread the material thin, spinning the pole all the while, until slowly a figure of a tiny horse emerged. I could hardly believe my eyes. I thanked the artist profusely as I left the factory for the compulsory showroom walk-through. He caught my eye again as I left for the boat, and the glimmer there made me believe that he saw my fascination. 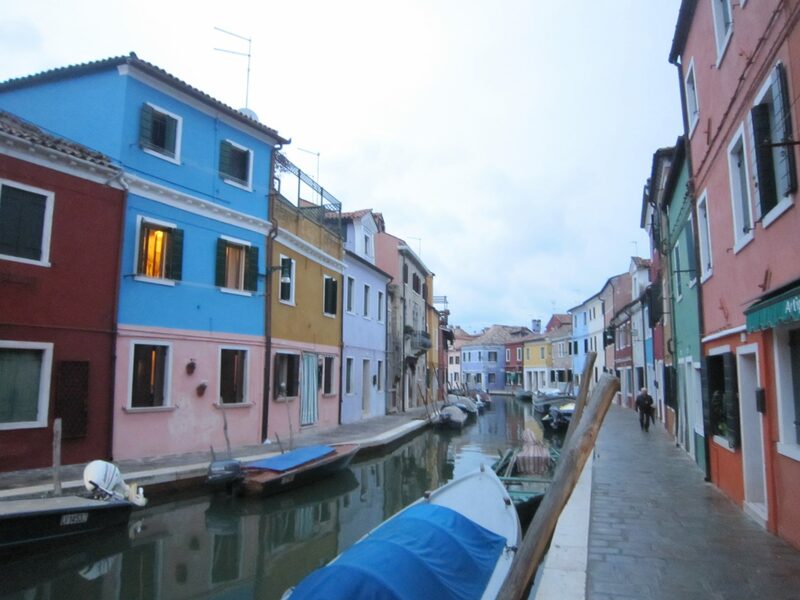 I also enjoyed seeing the pastel fishing homes of Burano, eating the quintessential dense biscuits, and viewing beautiful handmade lace. 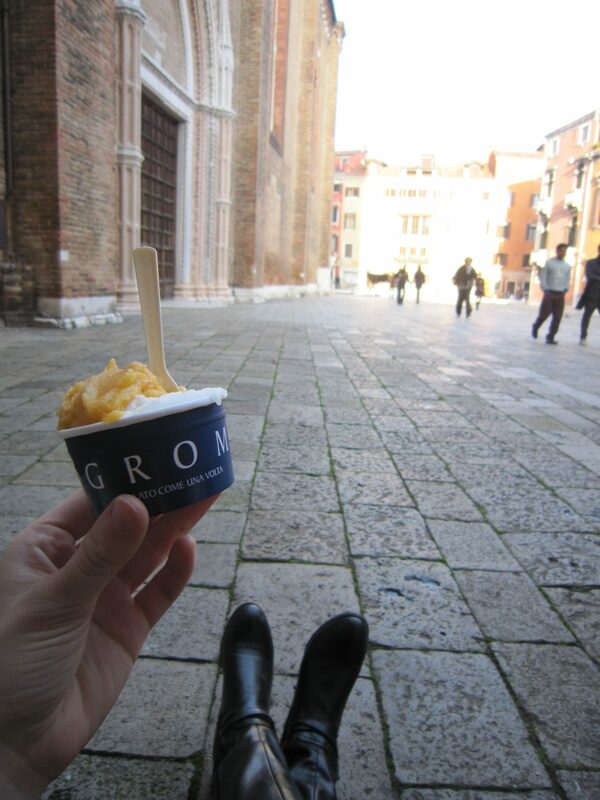 Another of my very favorite activities in Venice was a Cichetti Tour (done by Urban Adventures Venice). Basically, this was an evening of bar-hopping between Cichetti counters (places that sell Venetian-style tapas), tasting lots of different local wine (including the only sparkling red! ), and getting to hear all about the city from our bubbly guide. It was a small group of English speakers from all over the world. 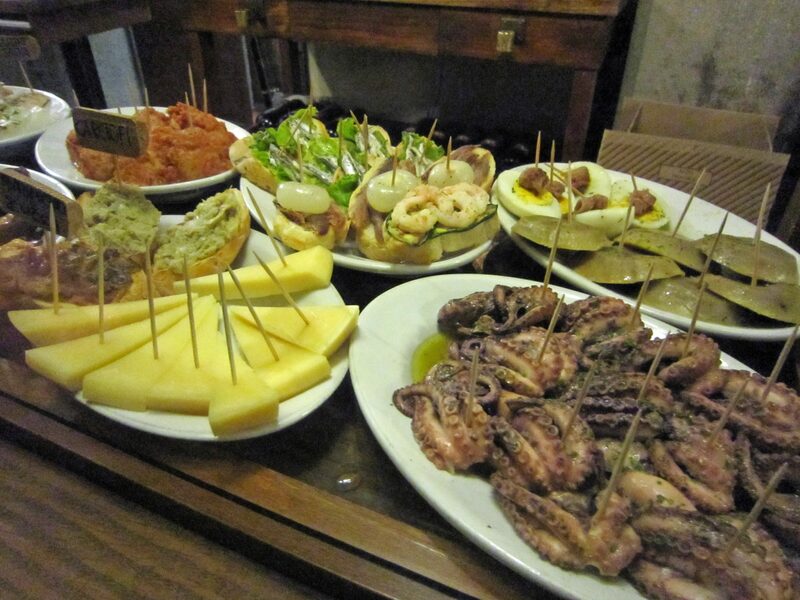 I had a WONDERFUL time trying a large variety of different Cichetti, speaking with lovely people from England, and getting a short glimpse into the evenings of real Venetians. Sarah took us to the best little places that could really be considered “hole-in-the-wall” that I could honestly never find on my own. 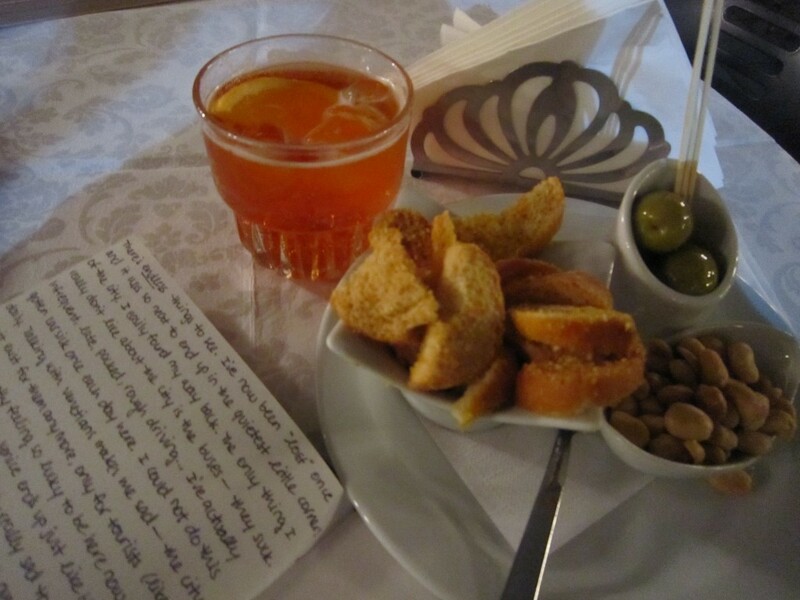 At one Cichetti bar, the Venetians came in by knocking on the unmarked back door. Like I would find THAT. Cichetti culture in Venice is a huge way for the local people to socialize, since Venice doesn’t have a large bar culture. Sarah told us that she and her friends would plan a similar night– hopping between the different places, having a glass of wine and a “small plate” at each. I feel so lucky to have seen such a great way to enjoy an evening! 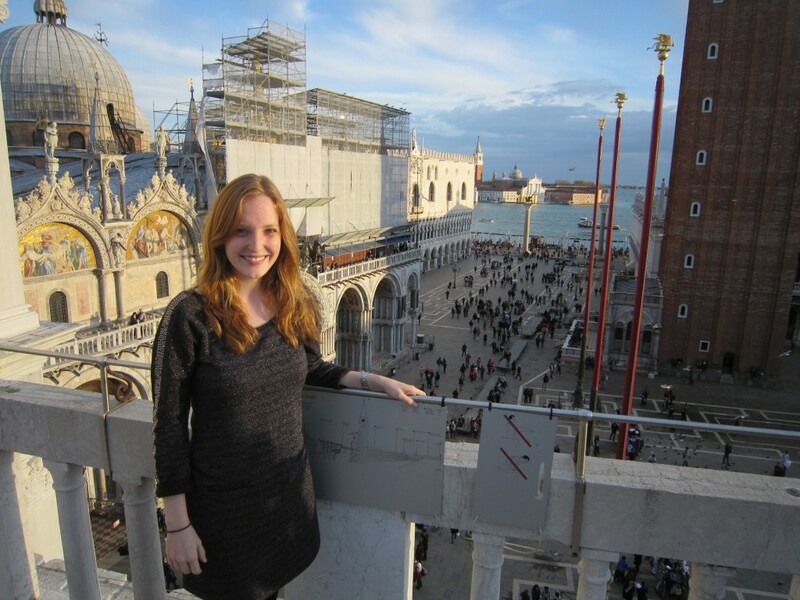 Almost every person I spoke to about my five-day excursion to Venice asked, “Why are you going for so many days? 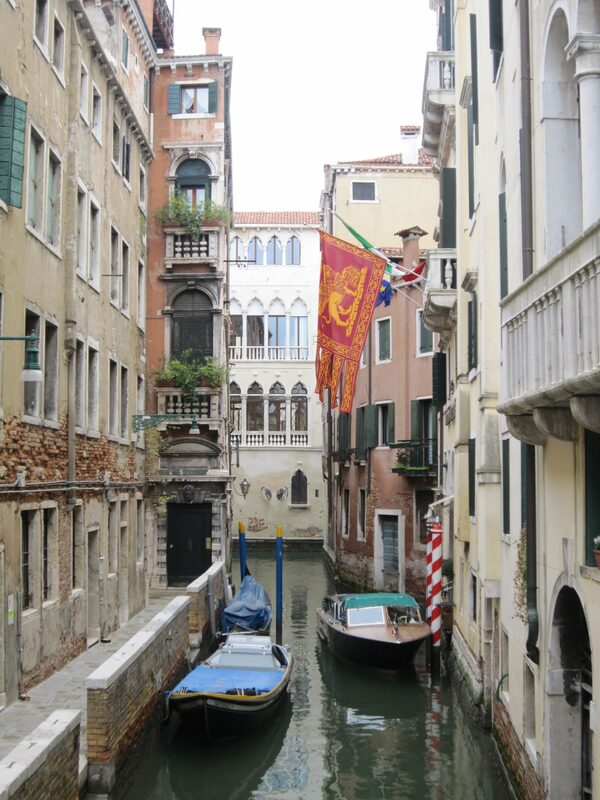 ?” They seemed to think that Venice could “be seen” in a day or two, and my time would be better spent elsewhere. They seemed to think that there “wasn’t much to do” in Venice. I spent five whole days in the city, and I still have a list of things I would love to do and see! I definitely plan on coming back to this magical city in the future.